← Monkey proof or monkey friendly? 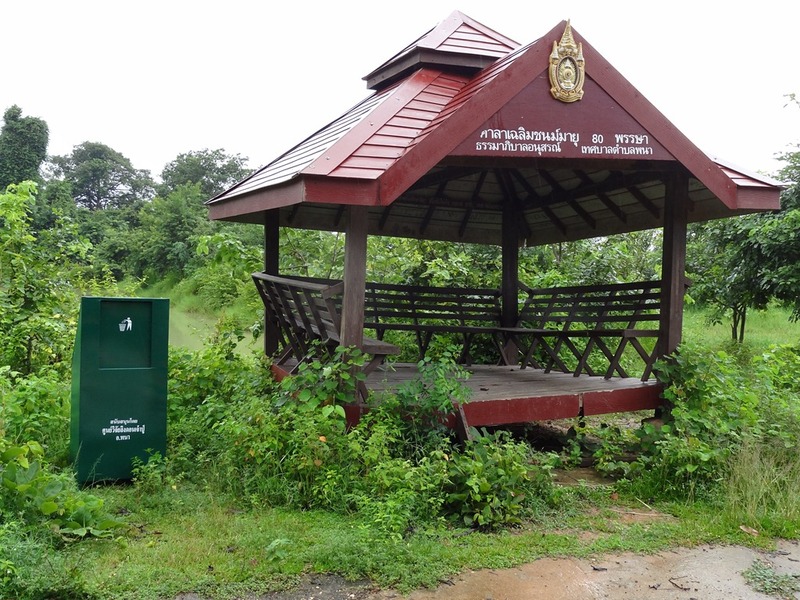 Our efforts to reduce the amount of litter in Don Chao Poo have been somewhat successful though it is difficult to quantify it. Certainly litter is being picked up and removed more frequently by tetsaban staff and volunteers and the vendors have been encouraging visitors not to drop litter. Taking the mayor and his two deputies to see our first bin helped this process. We had talked to them a lot about the litter problem, but they had never seen it for themselves. And now we have another four bins in the forest, making five in all. As with the prototype which was the subject of the previous post, these were purchased from the technicians at Phana District Hospital who built and delivered them for us. So many thanks to them and to the Director of the hospital, Dr Patompong Prupong, who suggested they could do the work and sanctioned it. We placed them at the three spots where most of the feeding by visitors takes place: at the main gate (we put our original bin just inside and a new one outside); near the Chao Poo Shrine; at the crossroads near the third gate. We put the other bin next to the small sala near the third gate. 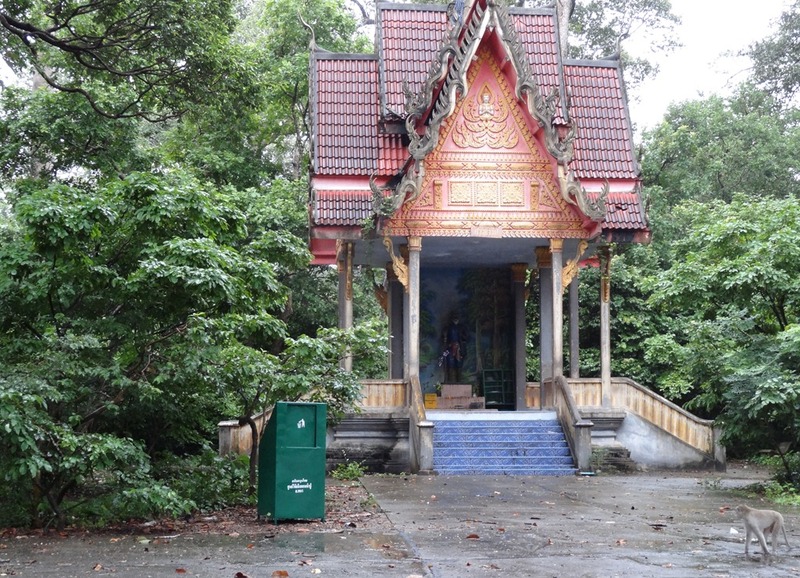 There is not a great deal of litter here because monkeys are not generally fed here. But this sala is popular with teenage couples and they tend to bring drink cartons, packets of crisps and biscuits and takeaway food containers with them. With no bin to hand, these have just been thrown down around the sala and some of them have then been carried off by monkeys. 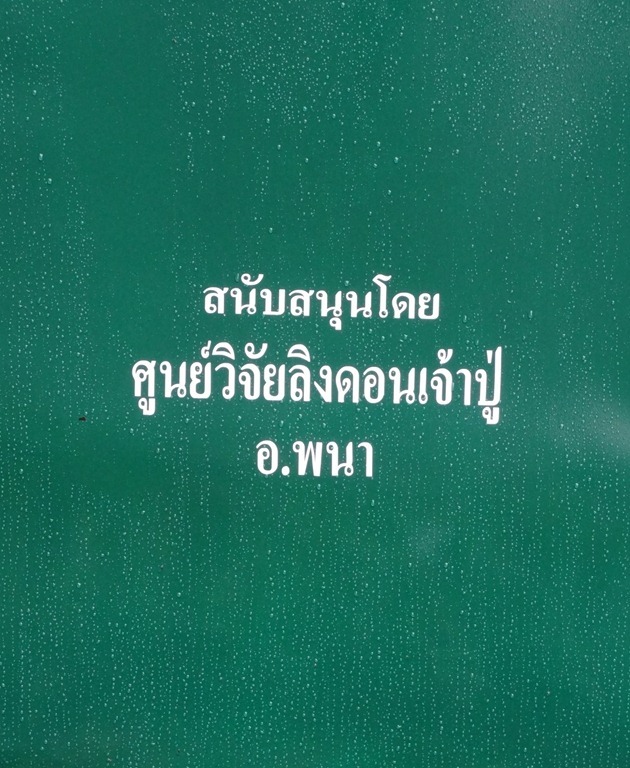 The legend on the front of the bins states that they have been provided by the Don Chao Poo Research Centre, Amphur Phana. Raising brand-name awareness, we hope. 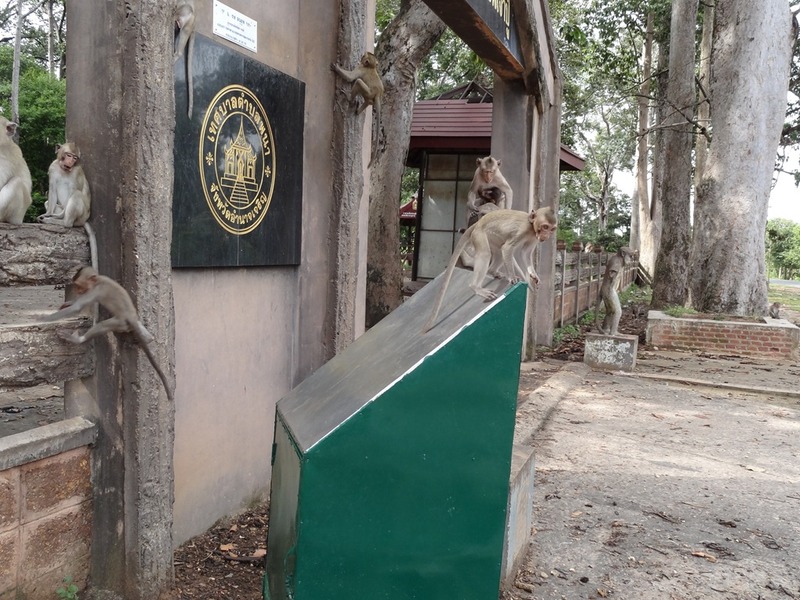 A closer look at the bin outside the main gate tells us something about the monkeys who hang out there. The sloping surface has been completely stripped of paint after just three days. 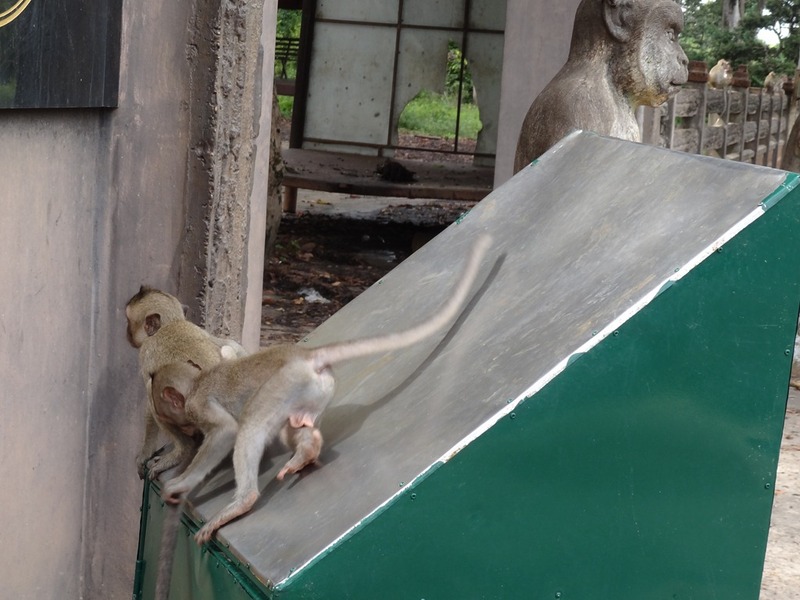 Young monkeys were having a great time using the bin as a slide. The odd thing is that this has not happened to any of the other bins. We will see whether the idea catches on elsewhere as time goes by. It has made us wonder whether we could/should perhaps provide some ‘playground’ items for the monkeys. 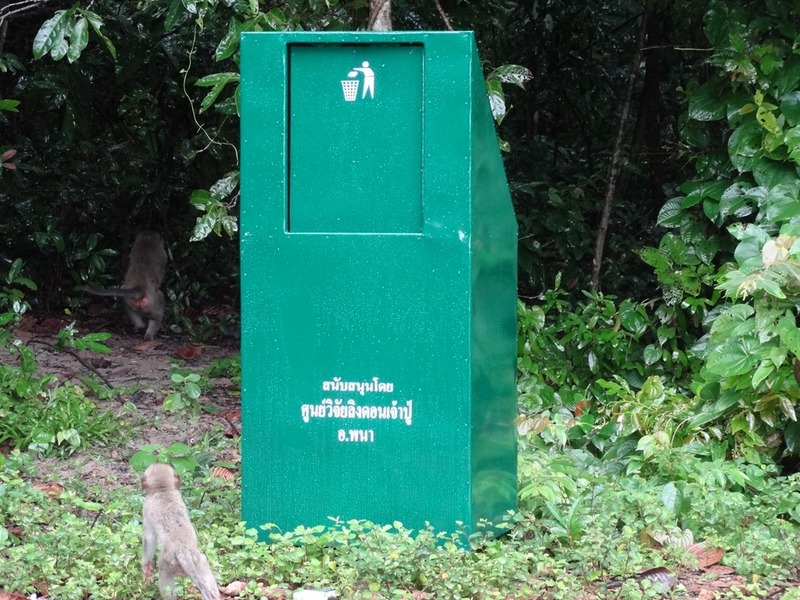 This entry was posted in Litter, Litterbins, Dustbins, Long-tailed Macaques, Macaca Fascicularis, monkey forest, Monkeys, Tetsaban Phana and tagged Litter in forest, Long-tailed Macaques, monkey-proof bins, Thai monkeys. Bookmark the permalink.